Held in Westminster, CO, on June 3-5, 2014, the three-day conference brought together over 500 attendees including many representatives from public safety, as well as federal agencies, industry, and academia. Participants learned about recent work efforts related to the build out of the NPSBN as well as test results from the Public Safety Communications Research (PSCR) program’s public safety broadband 700-MHz Band 14 Demonstration Network. Conference attendees also benefited from the decision of the FirstNet Board to locate their June Board Meeting at the conference hotel the morning of June 3. The FirstNet Board Meeting was webcast live into the PSCR Conference Room. 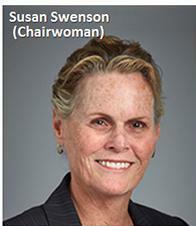 Following the Board Meeting, PSCR kicked off its PSBB Stakeholder Conference with a keynote address from newly announced FirstNet Chairwoman, Sue Swenson. Swenson described four key work themes for FirstNet going forward: 1) Execute, 2) Engage, 3) Communicate, and 4) Collaborate. Visit PSCR to view the agenda and presentations. There were a number of NPSTC Governing Board representatives and volunteers present at the meetings, including NPSTC Executive Director, Marilyn Ward, and Committee Support, Barry Luke. Mr. Luke reports there was quite a bit of discussion about simulation and modeling how the LTE system will behave under public safety conditions. All of the current testing is done in a laboratory or on a street drive test using one device talking to one tower. Once the baseline is established, they will expand out to testing in a more real life environment. Adams County, CO, next door to the Boulder research labs, has a fully functional public safety LTE network up working with a spectrum lease from FirstNet). A lot of the actual testing could potentially occur there. On the horizon for further research and development are: Public Safety Messaging; Public Safety Telephony; Local Control; and Deployables (with Canada).